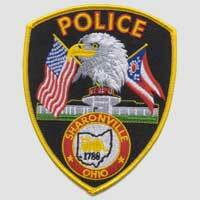 The Sharonville Police Department is a full-time, full-service professional law enforcement organization that provides a comprehensive package of services to community members. The department provides 24-hour uniformed patrol of the community and offers the services of an investigative division, a police K-9 unit, bicycle patrol, a full-time Community Services Officer and two school resource officers who are assigned to Princeton City Schools and Scarlet Oaks Vocational School. We will uphold the U.S. Constitution together with our community through education, prevention and enforcement. 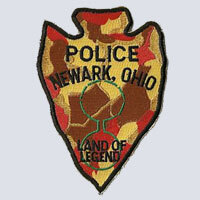 The Newark Police Division, founded in 1870, strives to maintain quality service to the members of our community, as well as visitors to our area. The mission of the Newark Police is to work in partnership with the citizens of the community to provide a safe environment where the quality of life may be improved through the delivery of fair and impartial police services. 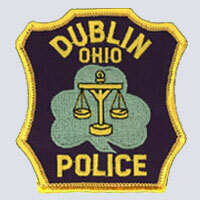 The Dublin Division of Police is committed to working with residents and businesses to improve the quality of life in Dublin. Numerous community-based programs and services, designed to ensure added safety and protection to citizens in the City, are available. 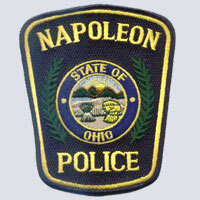 The Napoleon City Police Dept. serves the City of Napoleon, Ohio. Napoleon is a progressive City of 9800. It stands along the banks of the scenic Maumee River. We are about 40 miles SW of Toledo Ohio. Our Department boast 21 members. The Chief, 4 Lieutenants, 2 Detectives, 9 Patrol Officers, and 6 Civilian Dispatchers and an Auxiliary Police Force. 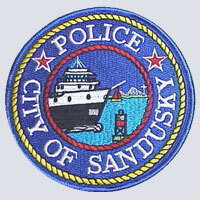 The men and women of the Sylvania Police Division are dedicated to our mission to provide a safe and secure community. We have a commitment and dedication to provide the City of Sylvania with the highest level of professional service possible and we are working very hard in these uncertain times to keep your community safe. The Mason Police Department provides assistance to those wishing to start a Neighborhood Watch Program, free of charge. Any neighborhood in Mason, including those with apartments, mobile homes, and businesses, can start a Neighborhood Watch Program. The City of Cincinnati Police Department currently employs 1057 sworn law enforcement officers and 281 nonsworn employees. Under the direction of Colonel Thomas H. Streicher, Jr., it provides a full range of police services within a 78.6 square mile area and is the primary law enforcement agency for the City of Cincinnati. The Springfield Police Division exists to serve all people equally with the highest degree of pride, professionalism, and personal integrity. It is our hope that you learn more about your Police Division through the use of this site. We look forward to our continued partnership with the community and making Springfield an even better place to live, work and raise our families. The Village of Milan & Milan Township population totals to approximately 3,500 people. There are reminders of history at every turn, in the New England styled community. The birthplace of the famous inventor, Thomas Alva Edison. The Amelia Police Department serves the community with 11 members. We are committed to providing the best possible service to our growing community. Our goal is to work continuously to find better ways to meet the needs of our citizens, making Amelia Village a safe environment for all who live, work, and visit here. The highest priority of the Division of Police is to provide public safety. Field Operations responds to citizen calls for assistance through uniformed patrol activities in the six districts and interacts through the community via the DARE programs, Community Relations, Auxiliary Police, and patrols. District support sections assist uniformed patrols through the investigation of major offenses, concentrated action on specific complaints, and crime pattern analysis. 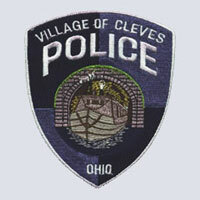 The Village of Cleves Police Department recognizes that our goal is to help people and to provide assistance at every opportunity. We will combat crime by preventing it, and by aggressively pursuing and apprehending those who violate the law. We will achieve and maintain a higher standard of integrity because we are held to a higher standard. We will honor and abide by all Federal, State, and Local laws, and will be diligent in enforcing them in a consistent, fair, and swift manner. The Kettering Police Department is responsible for police patrol, criminal investigations, crime prevention/community relations and animal control. The department is comprised of 83 sworn officers and 26 civilian employees, and enjoys strong support from the community.